I knew from the moment when I picked Sirenz up that I was in for a shallow read. I have no problem with a funny piece of chick lit. However, I do have problems with girls who need to sort out their priorities. When Hades, Lord of the Underworld, is threatening to drag you to the depths of Tartarus to be his slaves, usually you aren't preoccupied with the possibility of no designer shoes or colorful outfits. I mean, I get it. I really do. The authors were going for a humorous, lighthearted story about two teenage girls who get mixed up in some deep trouble. However, things got a little too over the top for my taste. I couldn't help but roll my eyes at the characters. The entire story felt like a joke. I don't mean this in a rude or accusatory way. I'm simply saying that the girls didn't seem to take their monumental problems seriously. For heavens' sake, they inadverdently cause an innocent a man's death, and they can only worry about themselves and complain that they wish it would go away. I'm a sucker for Greek mythology. I always have been, ever since I learned about it in the second grade. Series such as Percy Jackson have only increased my fascination. It is for this reason that I didn't hate this book. The concept of sirens employed by the god of the dead intrigued me. The plot obviously possessed potential. I only wish that the authors had toned down the materialism/stereotypical fashion diva attitude. Also, Sirenz is entirely unrealistic. Granted, it is a story about legends and unearthly happenings. However, where are these girls' parents and other friends? After becoming sirens, Meg and Shar have no other obligations. They ditch their parents after a skeptical lie and head off to their lavish apartment in the city. What parent just lets their child drop everything and roam about Manhattan? Maybe I'm just getting picky, but it bugged me. I wish I didn't have to give Sirenz such a low rating. There were a few aspects I honestly enjoyed. However, according to my rating scale, three stars would indicate that I had only a few problems with the novel. 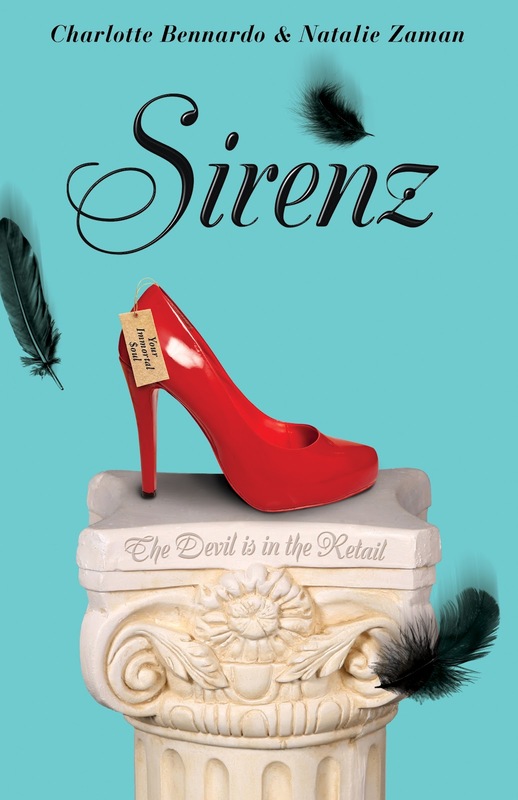 There were too many things I disliked about Sirenz. The characters are shallow and the ridiculous plot drags. If you are looking for a tale that lacks depth, then by all means, give it a shot. I don't want to discourage anyone from giving the book a shot. Personally, I just wanted more from the story and characters.